How to Enable Featured Image in WordPress? Featured Images or Post Thumbnails is a theme feature. Most themes such as Genesis and others support featured images by default. A great way to determine whether your theme supports featured images is by going to the post editor. Basically, make a new post and scroll down a little to see if there is a meta box known as featured images on the right side part of the screen. 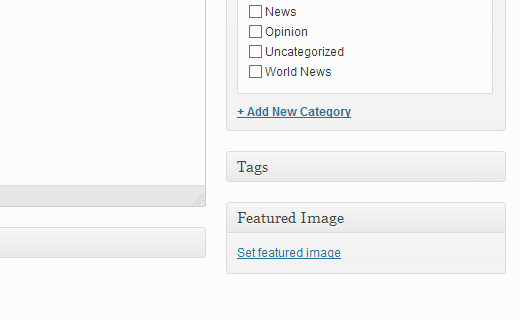 In this article, we will show you how to add featured images or post thumbnails in WordPress. In case we need to add featured images support for post or page only then we can use following line of code in functions.php. In some cases, we need different sizes of images. For example, If we need to display a hard cropped square thumbnail on category pages but a box resized rectangular header image within individual posts? Or if you want to get the image by image size.